Controllers must be MFi-certified by Apple, but any model should otherwise work, Epic indicated in its patch notes. When one is connected, the game will automatically disable iPhone vibrations. Devices with iOS 12.1 or later may also be able to make use of any L3 or R3 buttons their controller has. 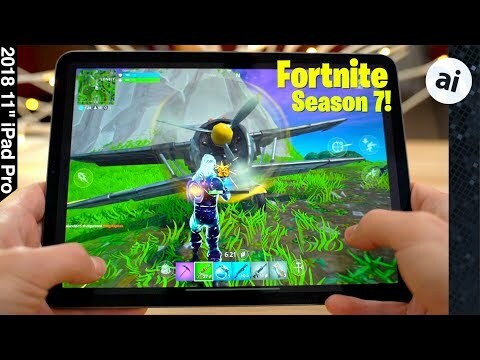 The addition of gamepad support to Fortnite could potentially prove useful not just to players, but to the iOS gaming industry in general. Gamepad support has so far been inconsistent, with developers worried about there being enough units to justify the effort, creating a feedback loop in which players worry about there being enough quality, compatible games. Fortnite has become a global phenomenon however, generating about $3 billion in profits for Epic during 2018. Essentially a PG-rated version of "PlayerUnknown's Battlegrounds" with a construction element, the title is so popular that even some Twitch and YouTube streamers have become famous simply playing it for an audience. Mainstream celebrities like Drake, Travis Scott, and Finn Wolfhard are well-known fans of the game. Should gamepads catch on with diehard Fortnite players, more developers may be tempted to spend resources on support. Wow! 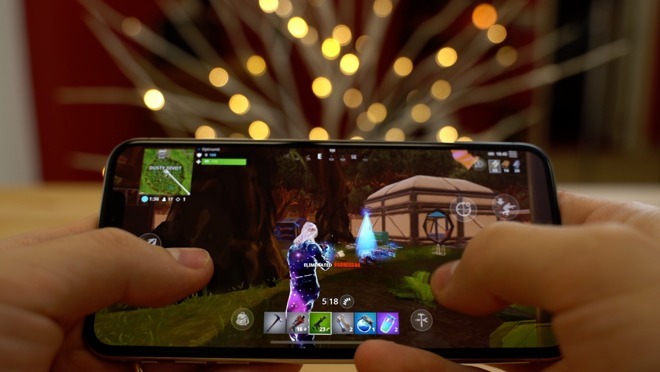 While I’m no fan of Fortnite, this could be a boon for Apple! Oh wait, no, they are DOOMED. Have to try this tonight. I bought a Nimbus controller a while back for use on the Apple TV. I have 2 controllers . The Logitech Powershell & Steelseries Nimbus. I will be testing them on both. Terrible idea. PUBG decided against it, because them with a controller would get way to huge of a advantage. It would no longer be fun. So how long until it comes to Apple TV? I imagine Fortnite on the A10X of the 4K TV would be pretty good. edited: since the Note 9 (and two Huawei devices) now get 60 FPS support are you going to test the Note 9 again? So I have tried it out with the steelseries Nimbus and it works surprisingly well. Only downside is you don’t have the joystick push, so you can’t crouch or release balloons. Other than that it’s a nice addition to the game. Also appears you are playing in the same lobbies as Nintendo Switch players, which I guess makes sense and fair. Cool! I bought my grandson a controller for X-Mas. It will help when he has guests over somebody can play on the iPad while the other plays on X-Box. That would make sense if the game wasn't cross-platform, but it is so if anything it levels the playing field. Apple really should have included drivers for Playstation and Xbox controllers. If they had done that, iOS gaming could really take off. I don't even think a lot of people realize they can get MFI controllers for their iDevice, and the numbers are so small as to limit what kind of games tend to come to the platform. That said, this is good news, as while I don't play Fortnite, the more games like this that come to the platform, the more it gets recognized as a capable platform for that kind of thing. I got a Steelseries Nimbus a while back so I can play Minecraft with my son and friends (and HATE using touch!). it's OK, but I'd sure rather just be able to use one of the many PS3/PS4 controllers we have around. Plus, while the Steelseries is pretty well made, I still prefer the PS4 controller overall.